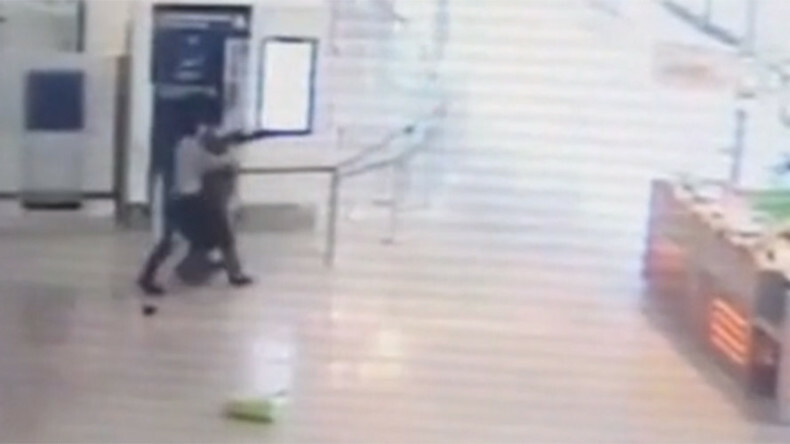 Security footage from the weekend attack at Paris Orly Airport shows a soldier caught by surprise when the assailant drops a shopping bag and grabs her from behind, trying to wrestle away her gun. 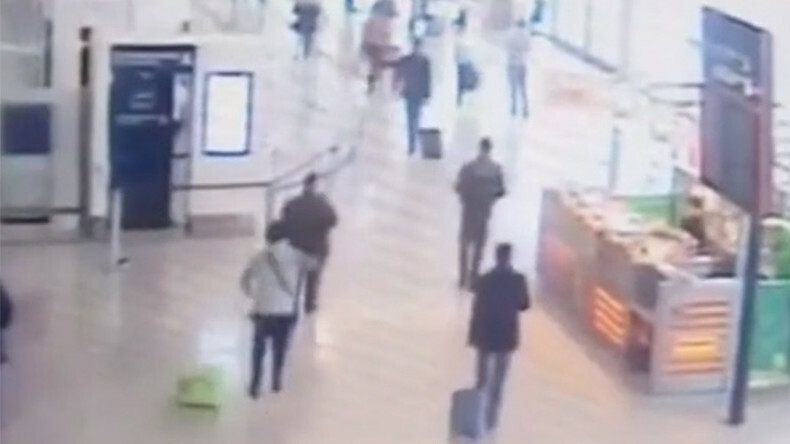 The video, obtained by AP, shows attacker Ziyed Ben Belgacem dropping a shopping bag – which authorities say contained a flask of gasoline – before grabbing the soldier around the shoulders. He pulls her backward while holding a revolver loaded with birdshot. No one reacts for the first few moments. Soon, however, people start backing away as the attacker walks his hostage towards them. Belgacem begins yelling that he wants to kill and die for Allah, according to a Paris prosecutor. He can be seen trying to wrestle away the soldier's assault rifle. The 39-year-old Frenchman of Tunisian descent was shot dead following a standoff with the soldier's partner and a second soldier. Despite reportedly shouting"I am here to die for Allah, there will be deaths," Belgacem was "never a terrorist," his father has insisted, saying that his son was rather under the influence of drugs and alcohol. He added that his son called him before the assault to ask for forgiveness. The results of an autopsy showed that Belgacem had a blood alcohol level of 0.93 grams per liter – almost twice the legal driving limit in France – and had also taken cannabis and cocaine, AFP reported, citing judicial sources. No one else was injured in the incident, which prompted panic and a temporary closure of Paris' second-largest airport. It comes as France remains under a state of emergency after a series of terrorist attacks, including the November 2015 massacre in Paris and a truck attack in Nice last summer.